Sam Humphries has been on a bit of a roll lately. The critical success of his self-published books Sacrifice and Our Love is Real did not go unnoticed by Marvel, who brought him on to co-write Ultimate Comics Ultimates with Jonathan Hickman, before Humphries eventually took over as the series' solo writer. That eventually led to Humphries being tapped to participate in the Marvel Now initiative, this time as the writer of Uncanny X-Force, the first issue of which hits stores tomorrow. 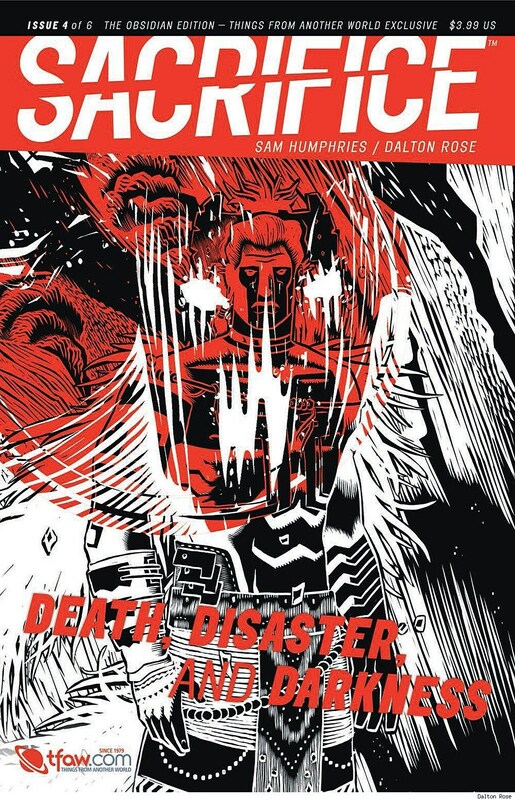 But Humphries' most personal work is still Sacrifice, his self-published six issue miniseries with artist Dalton Rose, about a teenage boy lost in the ancient Aztec empire who finds himself at the center of a religious conflict. Sacrifice #4 hits stores tomorrow, and ComicsAlliance has an exclusive teaser, along with two covers from Rose and a limited edition cover from Emma Ríos, which you can check out after the cut. SACRIFICE #4 (of 6) "DEATH, DISASTER, AND DARKNESS"
Hector is out of the jungles and into the city, caught between warring factions and forced to do the unthinkable: sacrifice a human being! 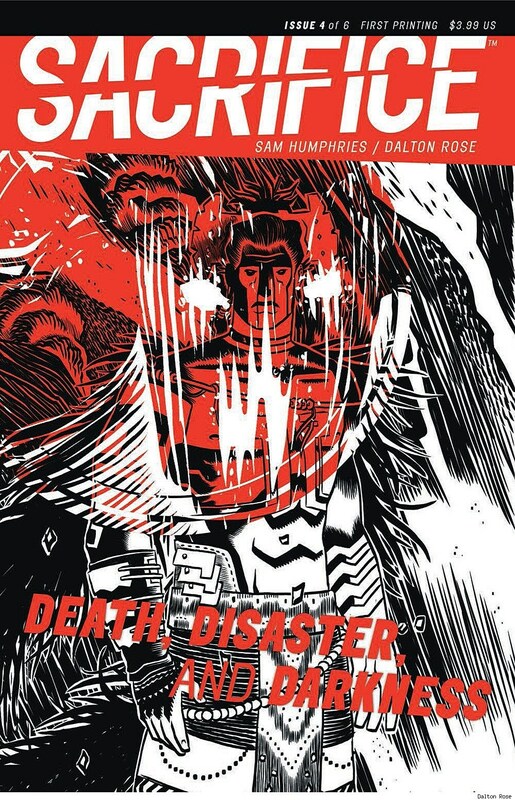 With death, disaster, and darkness on the horizon, how far will Hector go to save the Aztec Empire! Join Hector, a dude on a one-way trip through the past, the present, and the psychedelic into the the glory of the Aztec Empire in SACRIFICE -- a new comic book by SAM HUMPHRIES (writer of ULTIMATES, UNCANNY X-FORCE, OUR LOVE IS REAL and rising star DALTON ROSE. The third cover, by Rose, is available exclusively at Things From Another World. 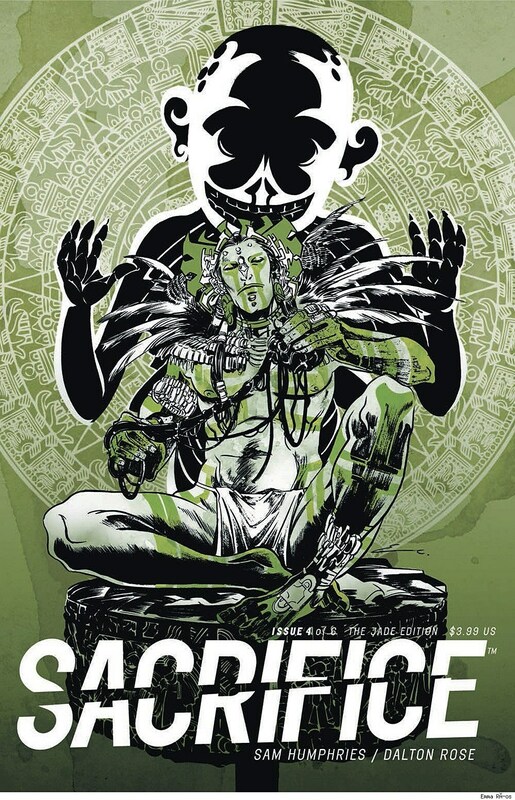 Sacrifice #4 is available January 23rd at your local comic shop and digitally via Comixology.